A 19-year old Israeli woman was killed and her body left in Ein Yael forest, East Jerusalem, on Thursday night. A Palestinian man has been arrested in connection with the murder, but Israeli police are unclear as to whether his motivation for the killing was political or criminal in nature. 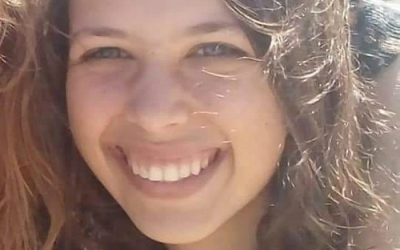 The young woman who was killed was identified as Ori Ansbacher, 19, a resident of Tekoa illegal colony, in the West Bank. On Saturday, Israeli military police detained 29-year-old Arafat Irfayia, a Palestinian from Hebron, in connection with the murder. Just after arresting Irfayia, the Israeli military invaded his family’s home to take measurements in order to demolish it. Israeli military forces frequently demolish the homes of Palestinians suspected of carrying out attacks against Israelis, in an act that violates international legal prohibitions against the use of collective punishment. Her body had been found stripped naked in the forest, which is unheard of in politically-motivated killings of Israelis by Palestinians. On Saturday, hundreds of Israelis came to a candlelight vigil honoring the young women, and some of those participating in the vigil called for revenge against all Palestinians in response to the murder of the young woman.